Herausgeber: Jungnickel, Dieter, Niederreiter, H.
This volume represents the refereed proceedings of the Fifth International Conference on Finite Fields and Applications (F q5) held at the University of Augsburg (Germany) from August 2-6, 1999, and hosted by the Department of Mathematics. The conference continued a series of biennial international conferences on finite fields, following earlier conferences at the University of Nevada at Las Vegas (USA) in August 1991 and August 1993, the University ofGlasgow (Scotland) in July 1995, and the University ofWaterloo (Canada) in August 1997. The Organizing Committee of F q5 comprised Thomas Beth (University ofKarlsruhe), Stephen D. Cohen (University of Glasgow), Dieter Jungnickel (University of Augsburg, Chairman), Alfred Menezes (University of Waterloo), Gary L. Mullen (Pennsylvania State University), Ronald C. Mullin (University of Waterloo), Harald Niederreiter (Austrian Academy of Sciences), and Alexander Pott (University of Magdeburg). The program ofthe conference consisted offour full days and one halfday ofsessions, with 11 invited plenary talks andover80contributedtalks that re quired three parallel sessions. 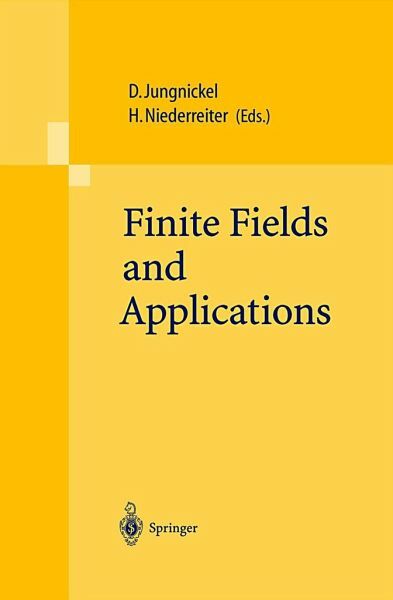 This documents the steadily increasing interest in finite fields and their applications. Finite fields have an inherently fasci nating structure and they are important tools in discrete mathematics. Their applications range from combinatorial design theory, finite geometries, and algebraic geometry to coding theory, cryptology, and scientific computing. 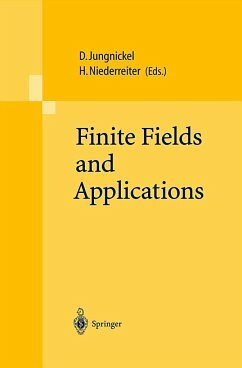 A particularly fruitful aspect is the interplay between theory and applications which has led to many new perspectives in research on finite fields.